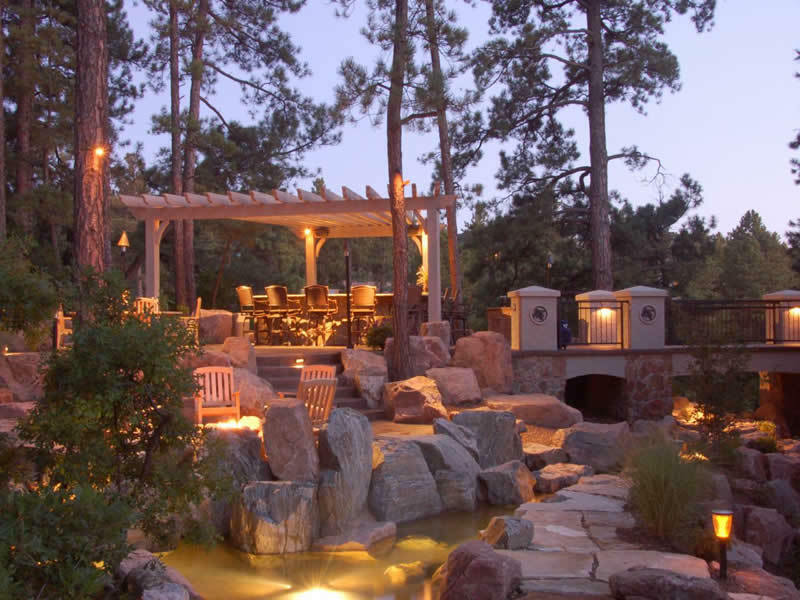 More than 75% of homeowners are making updates to their outdoor living areas, and many of them are turning to the latest trends in backyard lighting to determine what would best suit their needs. As more options become available, many people are choosing products that are all-around more efficient. 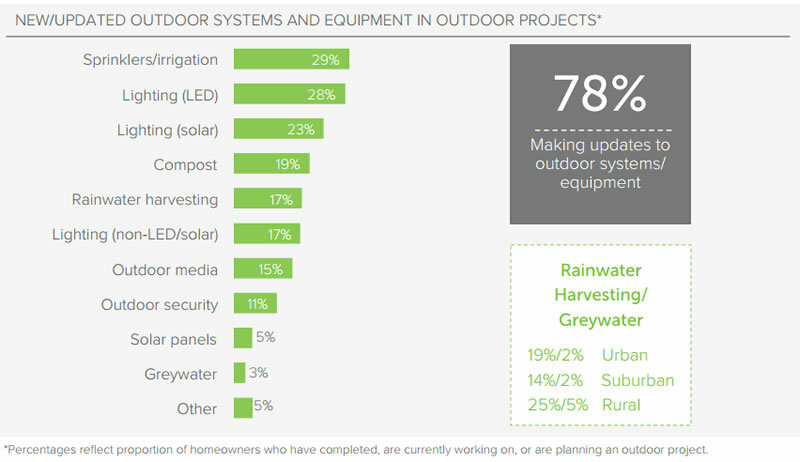 LED lights are rising in popularity for outdoor use. Not only do they last longer than a traditional bulb, but they can save money on the monthly utility bill. 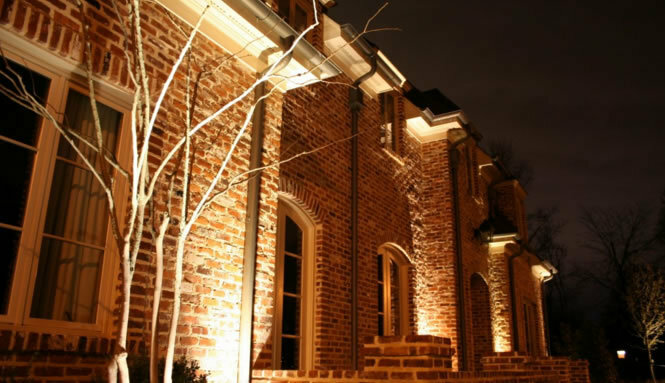 LED lights give off a crisp white light, allowing for overall better lighting. 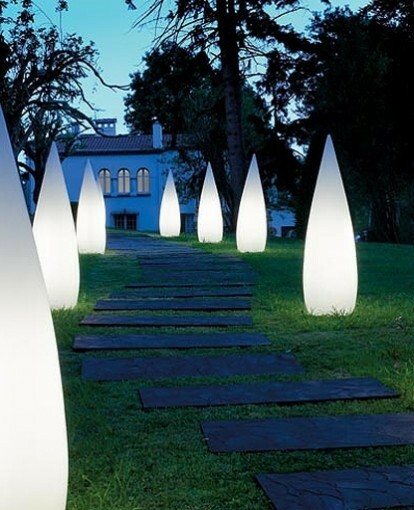 Small LED lights make for the perfect addition near steps, walkways, and other outdoor living areas. When these lights are mounted or in-ground, they are no longer a tripping hazard, and when placed properly, can't even be seen. All you see is the light, not the fixture. 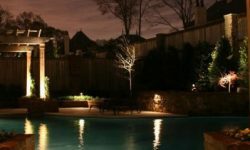 Connecting outdoor lighting and water features to a smartphone allows for total control around the clock. Many wireless apps allow for the use of timers, but also for manual control. Users can control their lighting and water features when they are away from home. The time saving benefits of smartphone controlled backyard features will help. Adding lights strategically will allow for safety when navigating the area at night. 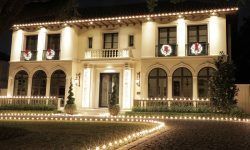 Adding lights on stairs, inside of columns, under sitting walls, along walkways, and even in plant beds will not only highlight these features aesthetically, but will ensure the safety of the homeowners and their guests. When angled properly, they will illuminate the area but not shine in anyone's eyes. Think beyond rope lighting around a patio- lighting can be arranged around sitting calls, pergolas, and outdoor kitchens. 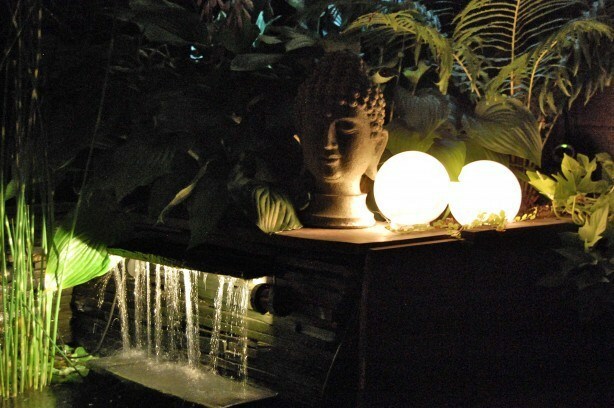 Fire features, as well as water features, can house accent lights. 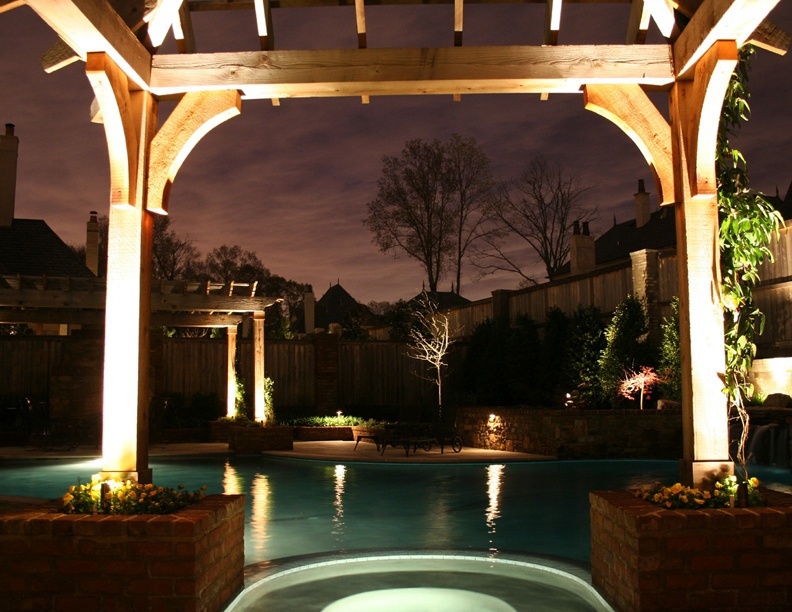 When entertainment features have their own lighting, when done properly, it will highlight the structures and create an environment that is cozy and inviting to set the mood for a great night outside. 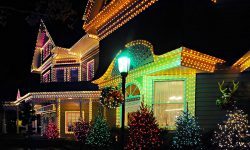 Whether they are controlled by a stationary timer or a smartphone, setting up outdoor lights on a timer is a wise choice. 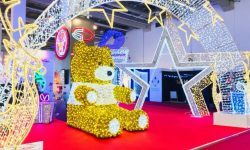 Lighting timers have risen to the top of popular trends because of not only their ability to save time, but also because of their efficiency. 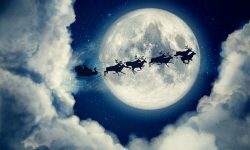 Timers allow the lights to come on and shut off automatically at designated times, ridding the need to do it manually. Simply put, many homes use 120 volts of power, while lighting that is low-voltage uses just about 12 volts. 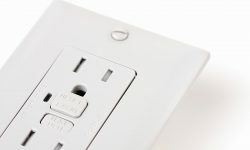 This low voltage eliminates the need for deep trenches that would hold the wiring. These lights are typically used to light from underneath the light source, or to light things from above. Using only the sun to power their bulbs, solar lights can add up to save enormous amounts on a utility bill. They are great for the environment because of their use of renewable energy but won't break the bank and are available in many different styles to complement all types of yards or landscaping. 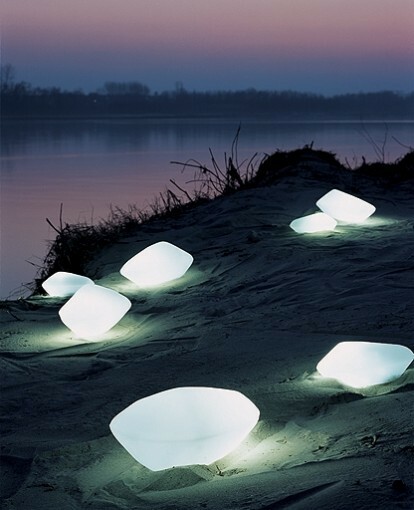 There are many different kinds of modern outdoor lighting options including orbs, outdoor floor lamps, and lit stones.